Technical Adviser of NPFL newcomers Kada City Adams Usman says he is satisfied with the result of their re-arranged Match Day 1 tie against Go Round in Omoku on Thursday. Kada City forced hosts, Go Round to a goalless draw at the Krisdera Hotel Stadium in a game dominated from start to finish by Willy Udube’s men, who have now drawn for the second time at home this season. The result leaves Kada – who are in their debut season in the NPFL – in 11th place (just a place above the bottom) with 4 points in as many games in Group B of the abridged league. 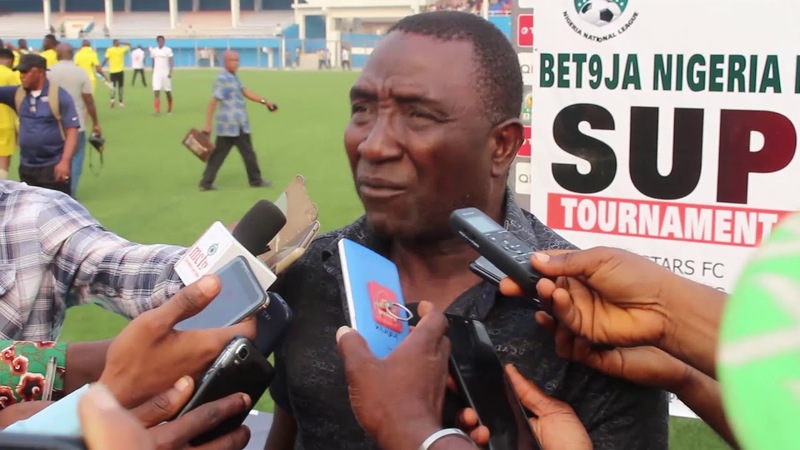 “It is a very difficult game; you all saw it,” coach Usman told the media after the match. “We are lucky to have gotten away with a point. “But as a matter of fact, I won’t lie too; we came with a strategy, and at the end of the day, the strategy paid off. “You could see it, we were not too much in the offensive; we were defending and thinking we could get one of those counter-attacks and then just round up the game. It didn’t happen. But we have gotten a point, I think it is Okay,” the former Sunshine Stars assistant coach said. The Kaduna-based side will on Sunday confront Heartland in Okigwe in continuation of the current campaign.